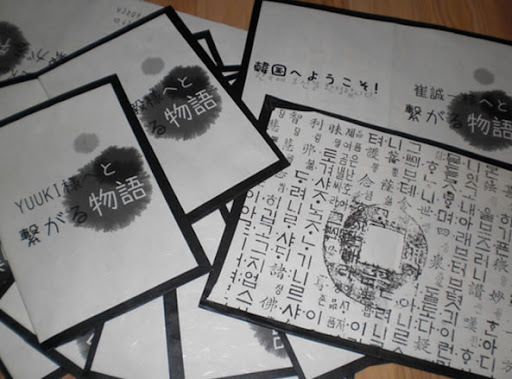 Photos from the Korean message gathering project! 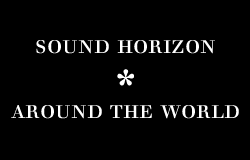 The project to gather messages by laurants from all over the world to congratulate Sound Horizon on their Korean debut went great! And we have some photos to see how it turned out. Thanks to BEN (benparang) and Rekki, the leaders of this project, for the hard work and the nice photos! 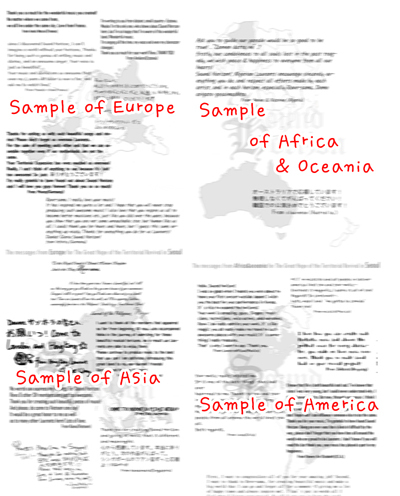 This project includes messages gathered from Facebook, Twitter, the international forum, the Korean SH Cafe, and from people who delivered them on the concert day. 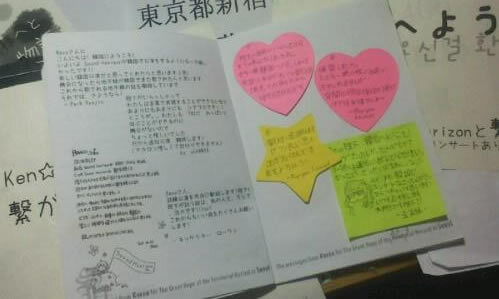 There were messages sent by people from Argelia, Australia, Brazil, Canada, Chile, England, Estonia, Finland, France, Germany, Hong Kong, Indonesia, Italy, Korea, Malaysia, Mexico, Philippines, Russia, Singapore, Spain, Uruguay, USA and Vietnam. That’s 23 countries in total! 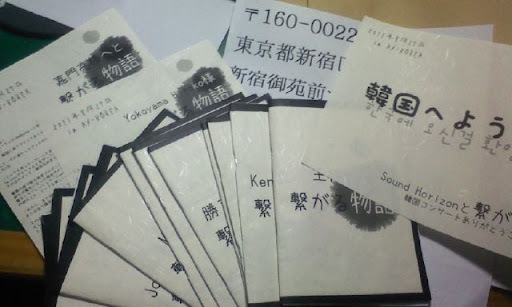 The messages to each member of the band were grouped in little books. 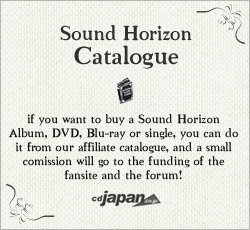 The whole package was sent to the Sound Horizon Office via EMS last Thursday (September 8th). Let’s hope everyone gets their messages and read them!